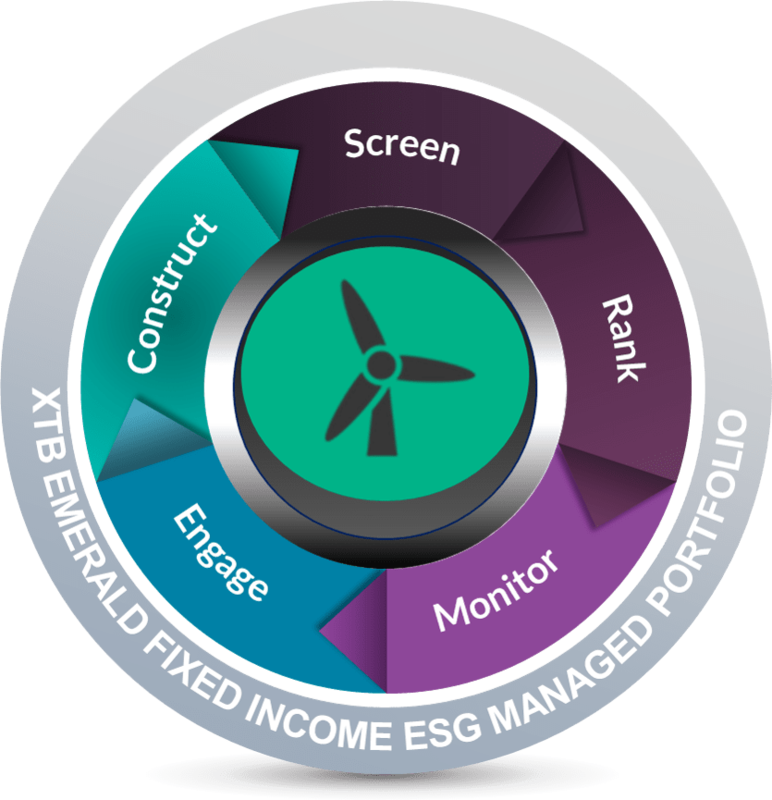 The XTB Emerald Fixed Income Portfolio is a managed portfolio of individual bond units (XTBs) from some of Australia’s top companies which have been classified as ‘light green’ investments. The companies have been chosen by The Emerald Club, a responsible investment promoter whose purpose is to make responsible investing more accessible and attractive to investors. Step 1: Screen Negatively screen full list of available investment-grade XTBs and other listed senior investment grade bonds to remove companies whose primary activities negatively impact people or the environment such as gambling, tobacco, casinos & fossil fuels. Step 2: Rank Rank companies by Bloomberg ESG scores taking into consideration Sustainalytics Rank and Roboeco SAM Sustainability Rank. Step 3: Monitor Monitor changes to – Percentage Women on Boards, CEO Tenure as of FY End, Percentage Women Employees, Energy Intensity Per Sales, UN Global Compact Signatory, GHG Intensity Per Sales, Water Intensity Per Sales, Climate Change Policy, Renewable Energy Use and ESG Linked Bonus. Step 4: Engage Engagement with the ESG focused advice community to co-develop and validate the portfolio and process. Step 5: Construct XTB portfolio construction, rules based approach to maximise yield, consider duration and manage sector exposures. The Portfolio is made up of companies who are able to provide viable returns to investors while mitigating the environmental and social (ESG) impacts of their business activity, operating in a manner respectful of society and managing within emerging ecological constraints. Investors are increasingly concerned about where their money is being invested. This is driving increased demand for ESG investment solutions that assist investors in aligning their investments with their ethical beliefs. ESG has become shorthand for investment methodologies that embrace sustainability factors and is a means for helping to identify companies with superior business models. ESG factors offer portfolio managers added insight into the quality of a company’s management, culture, risk profile and other characteristics. Responsible investment does not necessarily require ruling out investment in any sector or company. It simply involves including ESG information as part of investment decision-making, to ensure that all relevant factors are accounted for when assessing risk, return and investor alignment. The portfolio brings together the access and transparency of XTBs with the investment expertise of Ian Martin (Chief Investment Officer). Advisers can now access a managed model portfolio that consists of individual fixed income securities over ASX listed companies. Individual XTBs which meet The Emerald Club Limited ESG/SRI screening process. Ian has over 30 years’ experience in fixed income markets globally. Prior to the formation of ACBC, Ian held the position of Head of Rates Australia and New Zealand for Deutsche Bank Australia. He was a member of the Australian Financial Markets Association (AFMA) Market Governance Committee, a board member of Yieldbroker and a member of Deutsche Bank’s Global Rates Executive Committee. 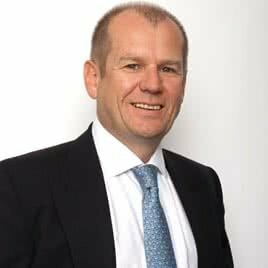 Prior to relocating to Australia, Ian was Head of Trading Fixed Income in London for General Re Financial Products Limited. The Emerald Club came about from a desire to increase the adoption of responsible investing by Australians. They believe financial advisers needed to have better access to information and benefits that they could pass on to their clients, as well as more adaptable tools that catered for the values and needs of Australian investors. This is delivered via a range of investment product and platform solutions. The Emerald Club provides the screening of individual XTBs selected for this Managed Portfolio. The number of companies that are eligible to be included is reduced through careful analysis – the company must have a focus on how their products and services reduce the impact of carbon emissions, relative to alternatives. Managed Portfolios offer investors easy access to expert knowledge in a transparent, practical, and cost-effective manner, while also allowing full ownership of the underlying instruments. Tax position unaffected by other investors.